All-cash buyers are active in many markets, and they can strike fear in new home buyers. The cash buyer can perform and close quickly and provide sellers with a sense of comfort. But, does this mean a solid buyer putting down 20 percent or more shouldn’t attempt to compete with the cash buyer? Absolutely not. What if you can’t buy a house with cash? The truth is, a buyer getting a mortgage can still compete against a cash buyer and win. If you answered yes to most or all of these questions, your purchase should be as bulletproof as a cash buyer’s. Paying cash for a house doesn’t guarantee a buyer will win over the seller. Well-qualified buyers who put in a little extra effort can seal the deal. How can you compete against a cash buyer? Be up front about your finances. Make your offer as strong as cash by providing the seller the confidence they need to accept your offer. 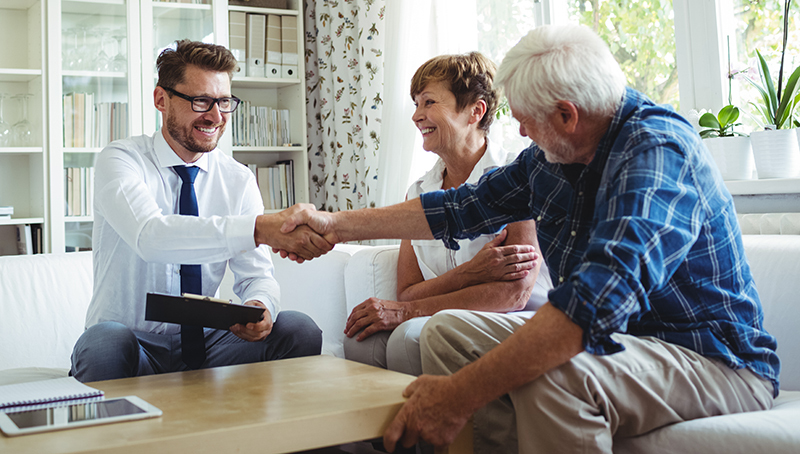 In addition to a pre-approval letter from your lender, be open to allowing your agent or lender to provide financial information with your offer. Tell them what you make, and how much money you have in the bank. Show bank statements and even a copy of your credit report. Overload the seller to show them that you’re as solid as the cash buyer. Shorten the loan and appraisal contingencies. Ask your lender how quickly they can send an appraiser to the property, and how long the loan would take to turnaround. In some parts of the country, loans are being approved in less than 14 days – sometimes even 10. Make yourself known to the seller. Some buyers write “love letters” to sellers, hoping to appeal to their personal side. Does this work? Sometimes! If you’re competing with a cash buyer, particularly an investor who plans to rent the home out, it can’t hurt to get a little personal. The seller almost always wants to know more about the potential buyer. Ask your agent to write a cover letter and an introduction. Let the seller know who you are, why you like the home and what your intentions are. It usually works. For more home-buying tips, check out our Home Buyers Guide. Selling a home not only takes time, but also costs money. To help with budgeting, Zillow and Thumbtack identified several common – but often overlooked – seller expenses. 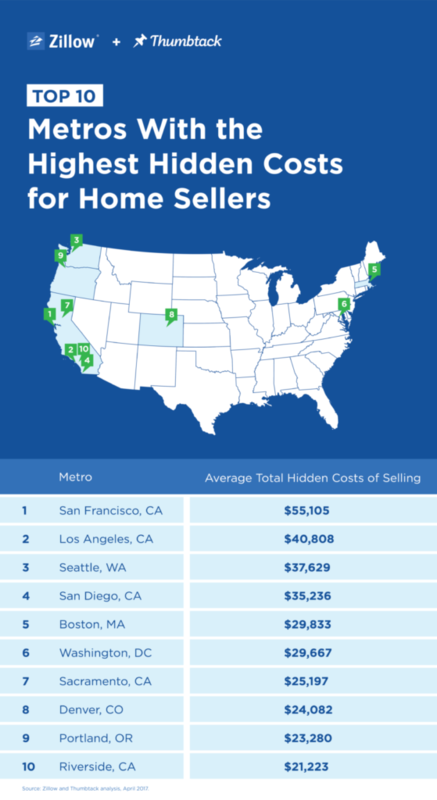 From closing costs to home prep projects like carpet cleaning, U.S. homeowners can expect to spend more than $15,000 on these extra or hidden costs to sell the median home, according to Zillow and Thumbtack’s Hidden Costs of Selling Analysis. The two largest closing costs are agent commissions and, in most states, sales or transfer taxes. Nationally, sellers spend $12,532 for both closing costs on the median home. Sellers should also prepare for a variety of other smaller closing costs, including title insurance and escrow fees. Most sellers will complete at least one home improvement project before listing. While some sellers prefer to complete these projects themselves, those who outsource can expect to spend more than $2,650 nationally to cover staging, carpet cleaning, interior painting, lawn care and house cleaning – five of the most popular seller home prep projects. As with all things real estate, these extra costs can vary significantly by region. In San Francisco, homeowners can pay more than $55,000 on the median home to cover these combined closing costs and maintenance expenses – the highest among the markets analyzed. Compare that to Cleveland, OH where home sellers pay just over $10,000 for the same costs. Even though selling a home costs money, most (73 percent) of sellers are still satisfied with the transaction, according to the Zillow Group Report on Consumer Housing Trends. 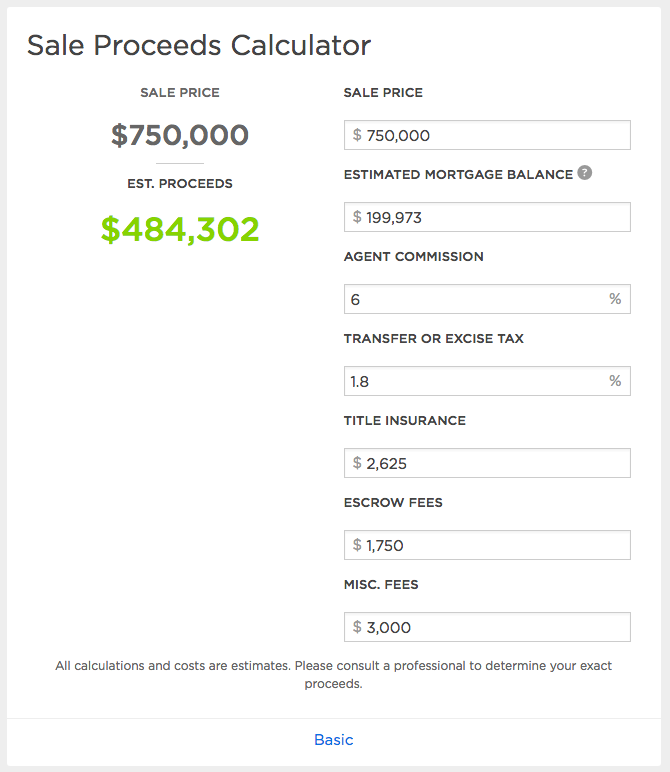 To estimate potential profit, sellers who have claimed their home on Zillow can use Zillow’s Sale Proceeds Calculator. It factors in the home’s sale price, mortgage balance and agent commissions, along with other common seller fees. Looking for more information about selling your home? Check out our Sellers Guide. If you’ve never heard of millennial pink, don’t worry – you aren’t that out of the loop. Though the term was coined recently, it’s been popping up for years, and Pantone’s selection of Rose Quartz as one of its 2016 colors of the year was just a preview of the pink craze to come (yes, there’s a hashtag). Stars from Rihanna to Harry Styles have embraced light pink hues, though it’s more about the vibe than a distinct color, and its popularity goes beyond the 20-something crowd. Millennial pink has put rosy-colored homes on the map as well. While painting a house pink is nothing new – several historic, stucco and adobe homes sport the hue – it’s certainly on trend. Check out these six homes for some millennial pink inspiration, and see what all the fuss is about. 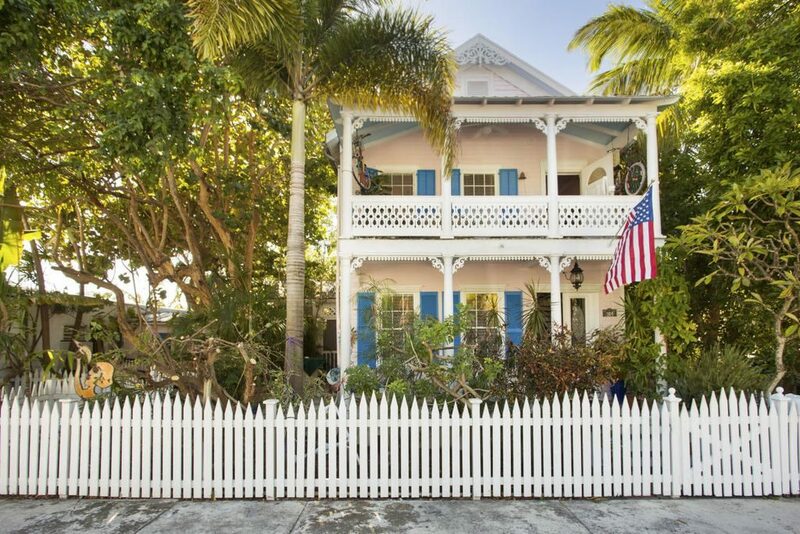 Tropical color schemes are a trademark of Key West design and architecture, as embodied by this delightful revival-style duplex. Bright blue shutters pop against a pale pink exterior with white trim, while the interior bursts with cheerful, vibrant blues, yellows, greens, and – of course – more pink. Find homes for sale in Key West. 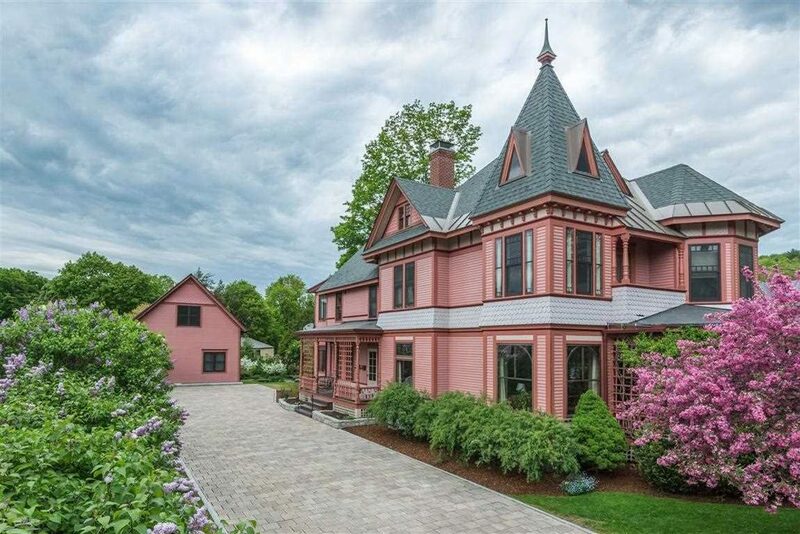 A former mayor’s home, this restored Victorian is millennial pink inside and out. With a whimsical two-tone pink façade and a few light pink rooms in the interior, the bright paint choice is architecturally on point. “We often see a color similar on Victorian homes throughout Vermont,” explains listing agent David Parsons, “and I believe it has a historical precedence.” Because of an increase in the number of pigments available and a reduction in the cost of paint, brightly colored homes became de rigueur in Victorian New England. Find homes for sale in Montpelier. This historic home full of Southern charm proves that millennial pink is nothing new. Built around 1815, the current owners bought the pink house in 2004 and simply repainted it the same color since it worked so well. 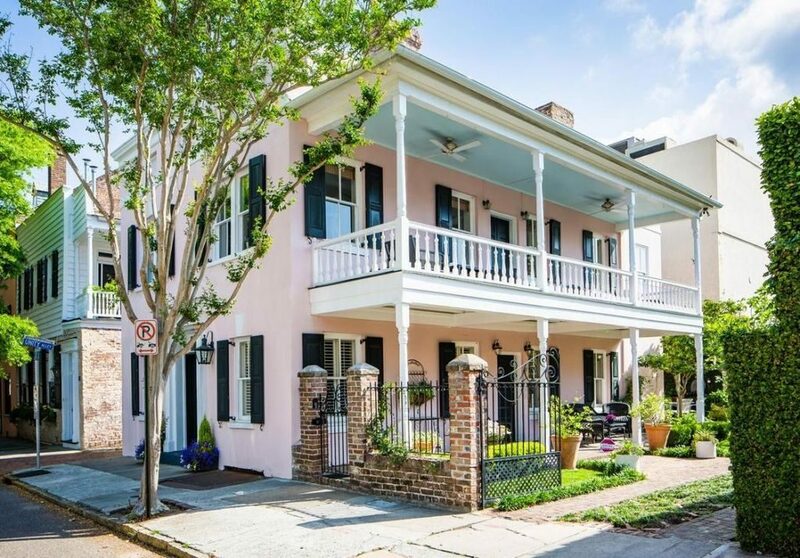 “There are many pink houses in Charleston, including one on Rainbow Row which is a block away,” explains Adam Edwards, who listed the home for sale last year. “Pink is a longtime popular color because it helps keep the interiors cooler in the hot summer months.” Black shutters and white trim give the house an elegant, refined look. Find homes for sale in Charleston. 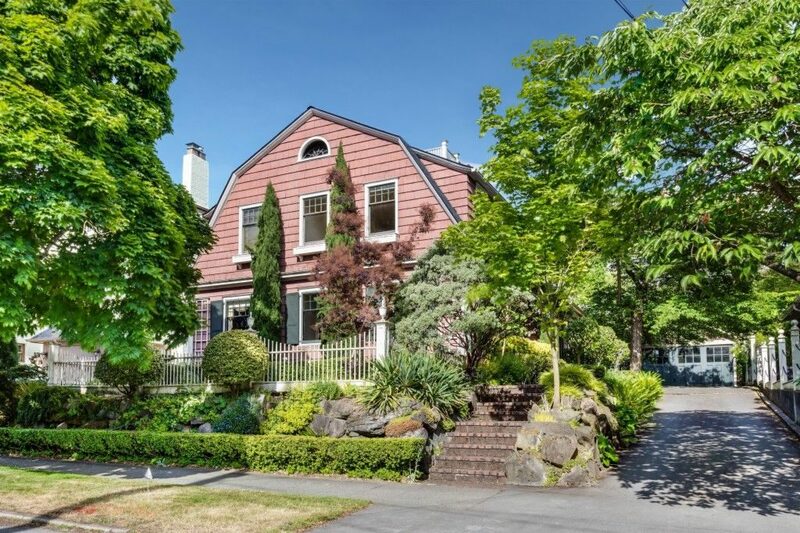 Find homes for sale in Seattle. Stucco exteriors are common in the Southwest because they’re durable and – most importantly, for a desert climate – energy efficient. This pink-hued home shows that stucco doesn’t have to be drab. Here, the pink provides a dose of personality while maintaining a neutral, earthy vibe that meshes with the landscape. 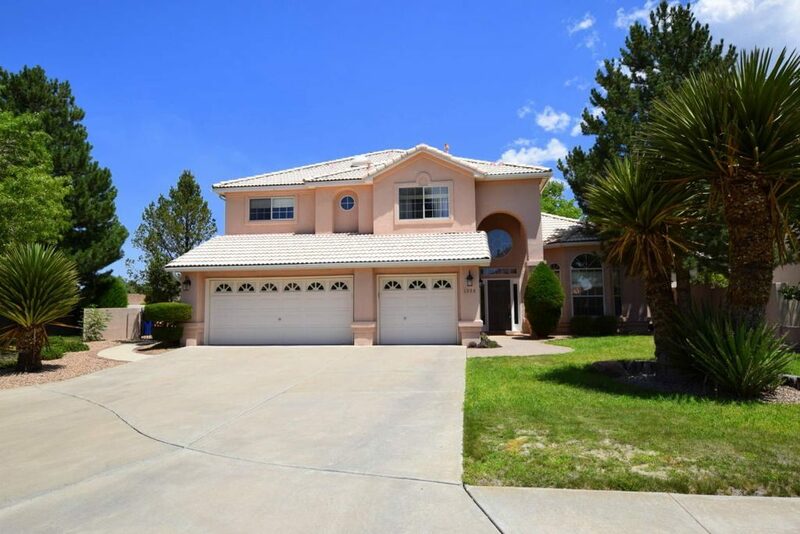 Find homes for sale in Albuquerque. New Orleans is no stranger to colorful homes. 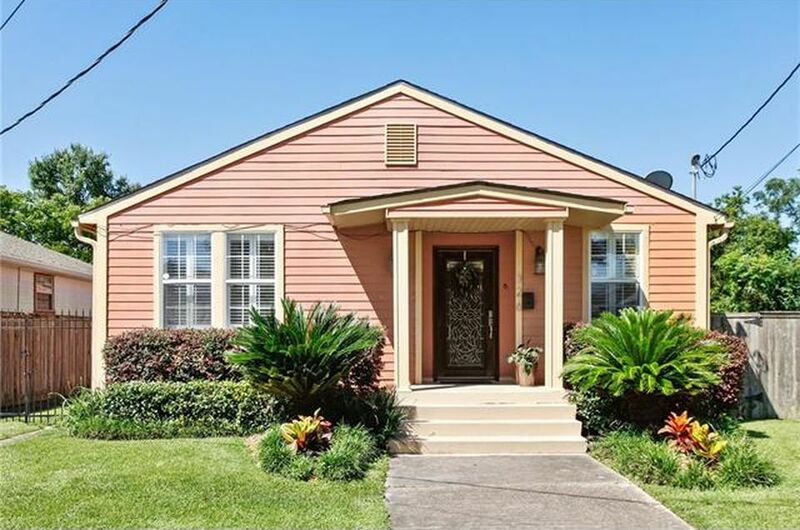 In fact, this cute, single-story house is subdued in comparison to many in the Big Easy. But that’s part of its appeal – and of the appeal of millennial pink in general. It manages to straddle the divide between playful and refined, youthful and classic. Find homes for sale in New Orleans.